The "several biblical scholars" mentioned on the title page are not identified in this version. However, the preface is signed "The Proprietor" who is likely David Bernard. Bernard was known to hold strong convictions favoring translating the Greek "baptizo" as "immerse." The Preface to the New Testament is signed A. C. Kendrick where he refers to himself as the "editor" and "translator." Kendrick was a noted Greek scholar who also participated in the production of the American Bible Union version and served on the New Testament Committee that produced the American Standard Version. 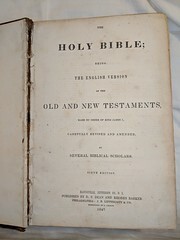 Hills also mentions that George Ripley Bliss (also associated with the American Bible Union version) helped in the production of the Old Testament. In the Old Testament the Tetragrammaton is consistently translated as "Jehovah." And, in the New Testament "baptizo" is translated as "immerse." Click here for sample verses from the version by David Bernard and A. C. Kendrick. 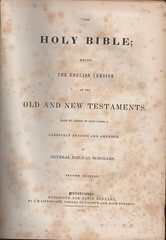 Title: The Holy Bible; being the English version of the Old and New Testaments, made by order of King James I., carefully revised and amended, by several biblical scholars. Second Edition. Publisher: Philadelphia: Published for David Bernard, by J. B. Lippincott, Corner of Fourth and Race Streets. Stereotyped by L. Johnson. 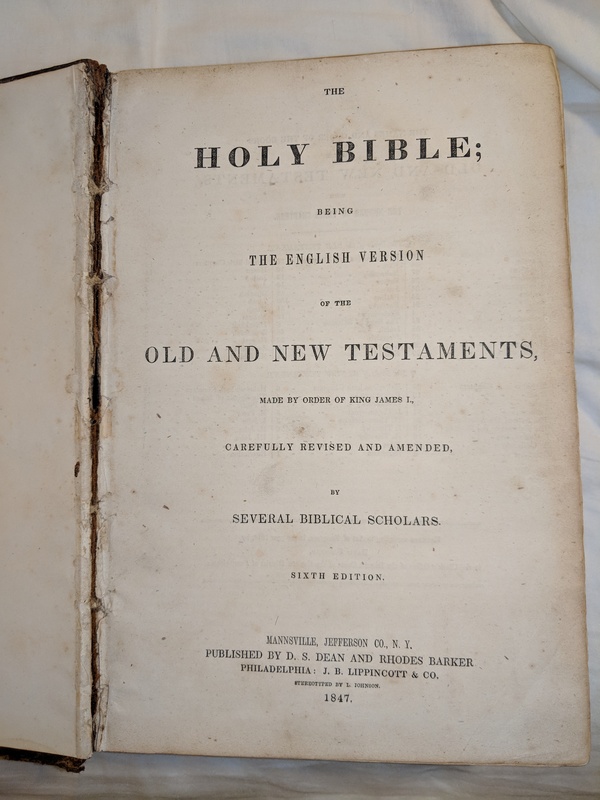 Title: The Holy Bible; being the English version of the Old and New Testaments, made by order of King James I., carefully revised and amended, by several biblical scholars. Sixth Edition. Publisher: Mannsville, Jefferson Co., N.Y.: Published by D. S. Dean and Rhodes Barker. Philadelphia: J. B. Lippincott & Co..